Medicaid filing is a detailed and lengthy process. We keep up with the latest regulations and allowances and can help you qualify for Medicaid benefits in as little as 30 days. 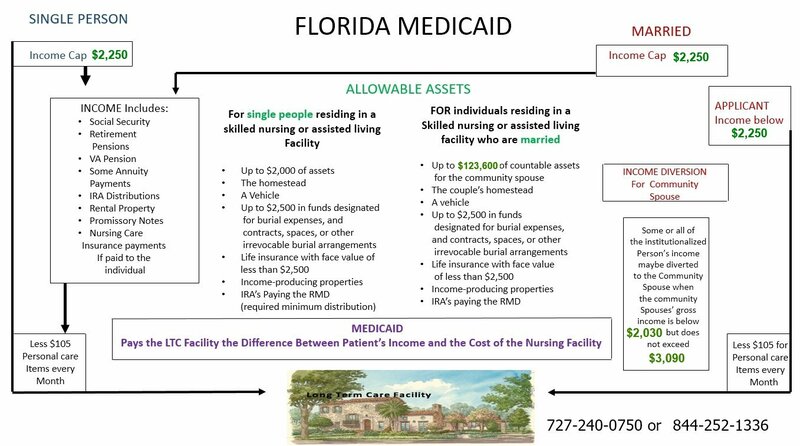 Florida Medicaid services are administered by the Florida Department of Children and Families – Agency for Health Care Administration. We can provide you with fast service to families in need of Medicaid. Contact us today for a FREE Consultation.